Welcome Home! 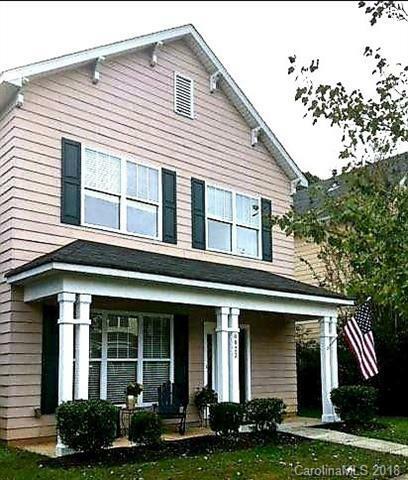 !Be charmed by the large covered front porch. From the moment you enter, you will know this is the ONE!Neutrally painted walls throughout the downstairs; including ceiling, doors, & trim(including upgraded crown accents).This home really stands out from the rest!Newly updated flooring installed professionally throughout lower level(2017)provides high quality&durability made to last.Spacious pantry & laundry area are conveniently located on the main level. Upstairs master bedroom & bath are freshly painted(including ceilings&trim).Secondary bedrooms painted within last two years.The new(2017)maintenance free vinyl fence is great for pets & provides added privacy. Home backs up to wooded area adding a private feel.This amazing home boasts new AC unit,new heating components,kitchen sink fixtures.Near Lake Norman,1-77,I-485 w/ many commuting options!Seller will allow up to a $3000 buyer's credit with acceptable offer to allow for kitchen upgrades and changes to flooring! BUY! Sold by K Marie Realty Llc. Offered by Carolina's Best Brokers. Copyright 2019 Carolina Multiple Listing Services. All rights reserved.